Global miner Anglo American (LON:AAL) announced Thursday changes at the top that will see Ruben Fernandes, chief executive officer of the company in Brazil, being replaced by mining veteran Wilfred (Bill) Bruijn, effective March 1. Fernandes, who has led Anglo’s iron ore and nickel interests in the South American country for almost three years, will become CEO of Base Metals. That position is currently held by Duncan Wanblad, who will now focus solely on his role as Group Director of Strategy and Business Development, the group said in a statement. 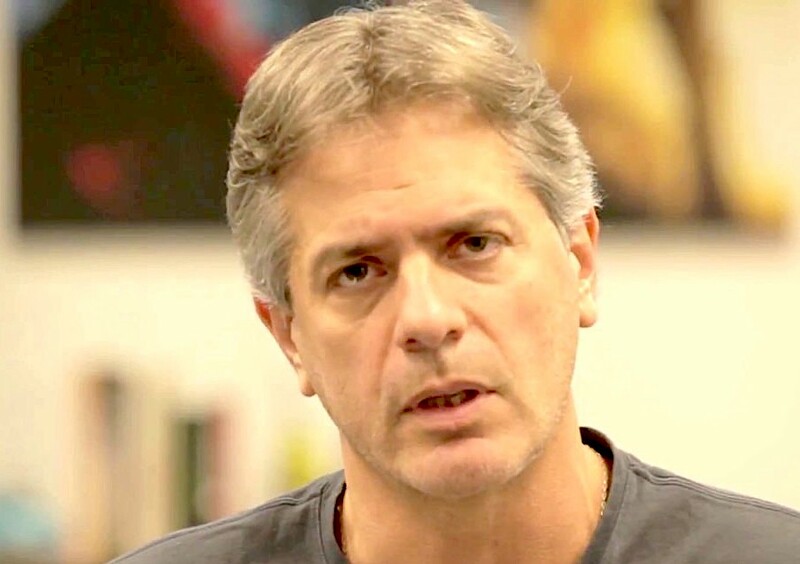 During his management, Fernandes dealt with an eight-month stoppage at the company’s giant Minas Rio iron ore mine, located in the Brazilian resource-rich state of Minas Gerais. Operations there were halted in March last year, following the discovery of leaks in a pipeline that carried ore to a port in Rio de Janeiro for export. Mining only resumed last month, after the world's number four diversified miner replaced 4km of pipeline and decided to shorten the intervals for future inspections to two years from five years. Ruben Fernandes, who has led Anglo American's iron ore and nickel interests in Brazil for almost three years, will become CEO of Base Metals effective March 1. Today’s announced changes follow the group’s decision to divide management of its global Base Metals business from its Strategy and Business Development activities, Anglo said. “As we progress the transformation of Anglo American’s performance to unlock our full potential, it is appropriate that we allocate dedicated executive responsibility to these two important portfolios,” chief executive Mark Cutifani said. In his new role, Fernandes will work closely with the copper team in Chile and Peru’s Quellaveco project development. He is also expected to help the company’s mineral discovery group find extensive long-term growth options in the copper sector. In his new role, Fernandes will also join Anglo's group management committee. Miners are scrambling for copper projects amid forecasts that demand for the metal will significantly outstrip supply from 2020, mainly due to increasing demand for power generation and electric vehicles (there are 300kg of copper in an electric bus and nine tonnes per windfarm megawatt). Finding new deposits of the red metal became a top priority for major miners last year, including the world’s No. 1 mining company BHP, Australia’s largest gold producer, Newcrest Mining (ASX: NCM) and Anglo American itself. 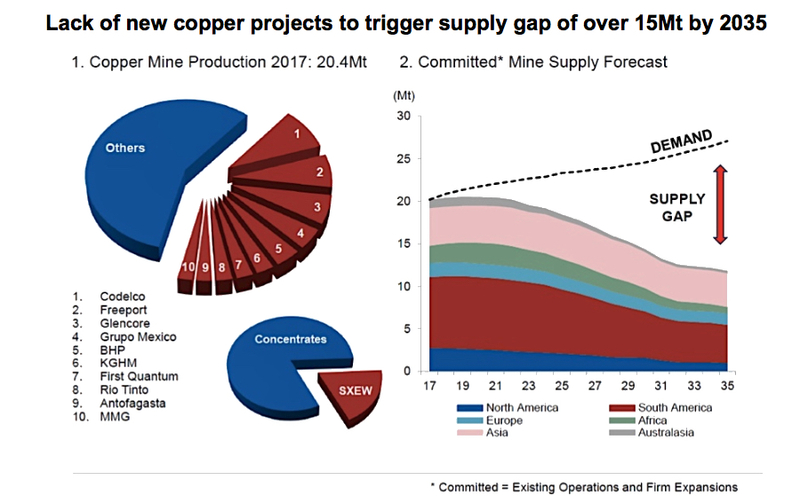 The mines that were the world's top copper operations in 2007 presently produce 10% to 15% less than they did twelve years ago, and analysts expect that trend to continue. The situation gets even more severe when considering that the current copper pipeline is at its lowest this century, both in terms of numbers and capacity. Anglo, which is the most diversified of the top mining companies, has taken steps towards increasing its exposure to copper. Last year, it kicked off construction at its $5-billion Quellaveco mine, in Peru, and is also planning expansions at its Los Bronces and Collahuasi mines in Chile. Anglo American’s Brazil new boss, who officially joins the company on Jan. 4, will report to Seamus French, CEO of Bulk Commodities. Brujin brings more than 25 years of experience in the mining industry, most recently as top boss at Mineração Usiminas, an iron ore mining joint venture in Brazil between steel producer Usiminas and Japan's Sumitomo.